Chet Baker was 22-years old when he recorded the song that would make his career and establish him as the prince of West Coast cool. 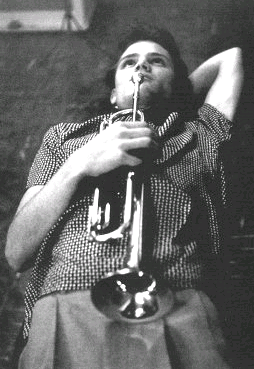 The take was spare, almost tentative in approach, as Chet was a trumpet-player by trade and not a crooner. At the hard-won age of 58, Chet played “My Funny Valentine” for maybe the ten-thousandth time before an appreciative audience in Hannover, West Germany. Bent, hollow-eyed and looking much older than he should, he was supported by lush strings, almost heavenly so. Two weeks later, he was gone. Being optimistic couldn’t have been easy for Chet. Other musicians have lived hard lives. Many have died young for it. Still others have managed to overcome so much and survive so well that fate or their own willpower has rewarded them with an uncanny longevity. Chet wasn’t so lucky. His life was filled with constant struggle. He fought addictions to heroin and cocaine, losing more often than winning. Sometimes he lost so badly that the need would leave him sitting in jail. One whole year was spent in an Italian prison. Off and on, he’d still play, though for one session in 1966, he had to borrow a fluglehorn to replace his own trumpet. He claimed it was stolen, but it could’ve just as well been put up for hock. So as we close this week of romance considered through the interpretation of this one particular song, remember this one romantic-tragic fallen idol as the one who took a chance on an average standard , turned it into one of the most sincere expressions of admiration ever recorded, then, in his passing, instilled it with an almost haunted longing. The original version of “My Funny Valentine” is available on the album of the same name, as well as countless other compilations. The live version from 1988 is from the first volume of two, both recorded on the same night in Germany and released as The Last Great Concert. groovy tunes, T! keep ’em coming.